Tami Rumfelt has over 20 years' experience voicing a wide range of projects. She offers: super-fast turnaround, professional service and a top-notch end product. 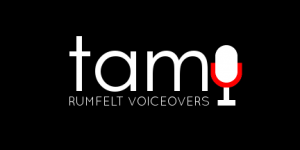 Versatile, talented, professional and eager to please, Tami has over 20 years of voiceover experience. Tami's voice can be heard on projects literally around the world. From radio and television commercials to web videos, eLearning modules and phone messaging, her versatility makes her a perfect fit for a variety of projects and formats. Her voice has been described as: warm, friendly, professional, confident, conversational, and natural. Her voice has been described as: warm, friendly, professional, confident, sultry, natural and conversational. She works from a professionally construted, treated and equipped home studio, enabling her to quickly produce work that sounds amazing! Your satisfaction with the finished product is her #1 priority. Your job is not complete until you are delighted with the outcome.